Civic by-polls are also being held for four local bodies -- Jhumri Tilayya, Deoghar, Dhanbad and Bishrampur. RANCHI: More than 22 lakh voters are expected to cast their votes for 34 urban local bodies in Jharkhand Municipal Elections 2018 on Monday. The polling for Jharkhand civic body elections began on Monday morning at 7 am. The polling is being held for five municipal corporations, 16 municipalities and 13 panchayats. By-polls are also being held for four local bodies -- Jhumri Tilayya, Deoghar, Dhanbad and Bishrampur. According to Prabhat Khabar, the polling began late at some places because of faults in Electronic Voting Machines (EVMs). The polling will be conducted till 5 pm. According to State Election Commission, 278 candidates are in the fray for 34 Mayor and chairman seats, 320 for Deputy Mayor and Vice chairman, 122 for Mayoral and Presidential posts and 23 candidates for Deputy Mayor and Vice President positions. 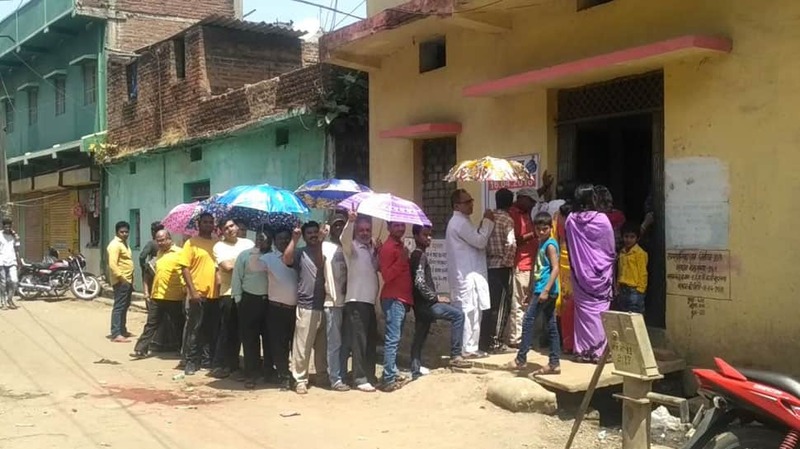 Amid soaring temperatures, people queue up to cast their votes in Hazaribag. In Saraikela district, the EVM machines did not reflect Jharkhand Mukti Morcha's election symbol. As a result, the voting began late. Voting will continue till 5 pm. Civic by-polls are being held for Jhumri Tilayya, Deoghar, Dhanbad and Bishrampur.